Social scientist, urban economic development planner. Chicago sports fan and dog lover. Dr. Lester is Associate Professor of City and Regional Planning. His research interests are broad within the field of urban and regional economic development, but generally focus on the role of social institutions and policy interventions in reducing income inequality and promoting balanced economic growth. He is also an expert in policy evaluation and impact analysis. For ten years, Dr. Lester has studied the impact of minimum wage and living wage policies on urban economic development. He is a co-author of two papers that analyze the impact of minimum wage changes on employment and labor turnover. This research has been cited by the Council of Economic Advisors, the Congressional Budget Office, and the New York Times, among others. In a qualitative case comparison between San Francisco and the Research Triangle, Dr. Lester analyzed how higher labor standards reshape employment practices in the restaurant industry. 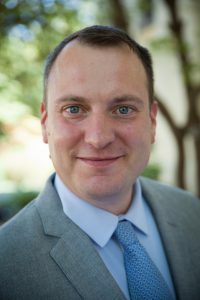 Dr. Lester is also engaged in numerous projects that study the potential for environmental solutions to generate meaningful employment opportunities in the so-called “green economy.” This work takes the form of academic publications, original policy proposals, and project-based consulting using IMPLAN. Recently, Dr. Lester launched a collaborative project aimed at assessing the economic health and competitiveness of inner-city neighborhood economies. Through a series of papers and planning tools, he is documenting recent employment changes at the census tract-level, and undertaking a nationwide re-analysis of the so-called “spatial mismatch” hypothesis. He is also building a planning tool to assess the impact of city-wide minimum wage increases on inner-city neighborhood workers and economies. Dr. Lester is currently conducting research for a book on the long-term impacts of Urban Renewal policies on neighborhood economic development on Chicago’s South Side. He received a PhD in City and Regional Planning from the University of California, Berkeley (2009), a Masters of Urban Planning and Policy (MUPP) from the University of Illinois at Chicago (2001), and a Bachelor of Arts from the University of Pennsylvania (1999).